The Apple's supply chain estimated that its FY19 capital expenditure may return to NTD3.5bn. Catalyzed by the investment in the phase II of the new construction of Xiantao plant in China, and the related purchase of equipment, Tripod’s (3044-TW), a PCB company and Apple’s Supply Chain, FY18 capital expenditure was more than NTD5bn. However, Tripod estimated that its FY19 capital expenditure may return to NTD3.5bn. Last year, Tripod invested in the second phase of the Xiantao Plant construction in Hubei China, leading its FY18 capital expenditures to reach NTD5bn, higher than its FY17 capital expenditures of NTD3.76bn. The application of Tripod’s PCB mainly focuses on memory modules, hard drives, NB, photovoltaic panels, smart phones and servers, automotive panels, etc. The company is also a supplier of Xiaomi’s smart phones. Currently, in all PCB plants in China, Tripod’s output value is second only to Zhen Ding(4958-TW). Tripod’s 4Q18 revenue was NTD13.12bn (-10.94% QoQ, +4.1% YoY), second in its history. Its FY18 revenue was NTD52.105bn (+13.72% YoY), setting a new record high. Large PCB companies announced their FY19 capital expenditure estimations gradually. Unimicron (3037-TW) estimated that its FY19 capital expenditure may reach NTD8bn. Zhen Ding estimated that its FY19 capital expenditure may be over NTD10bn, comparing its FY18 capital expenditure of NTD10bn. Zhen Ding is largest PCB manufacturer in China. 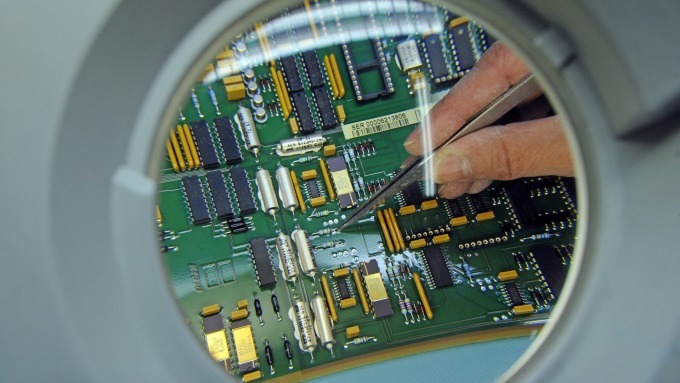 Its plant at Huai'an mainly produces PCB, FPCB, and automotive related. Its plant at Qinhuangdao is mostly producing FPCB and SLP. In response to market demand, construction commencement of Huai'an Plant Phase II started in Nov 17th and mass production is expected to start in 2H19. The new capacity will focus on FPCB as well.